Leigh Rounds, a native of Erie, Pennsylvania, joined The Nichols Company as a Broker and Real Estate Advisor in July of 2010. Leigh is a proactive business planner and administrator with extensive experience in creating growth and managing multi-property portfolio as well as a Registered Professional Architect. His professional associations include board positions in the University City Area Council, University City Partners, City of Charlotte Business Advisory Committee, Industrial Board Member of the PA Department of Labor and Industry. 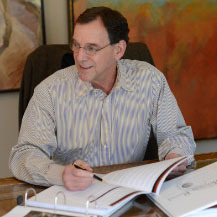 Leigh was the Regional Vice President for ATAPCO Properties, Development Manager and Partner with Pizzagalli Properties and a Vice President and Founder of Weber Murphy Architects. Leigh is a 1970 graduate of Kent State University with a Bachelor of Architecture degree.